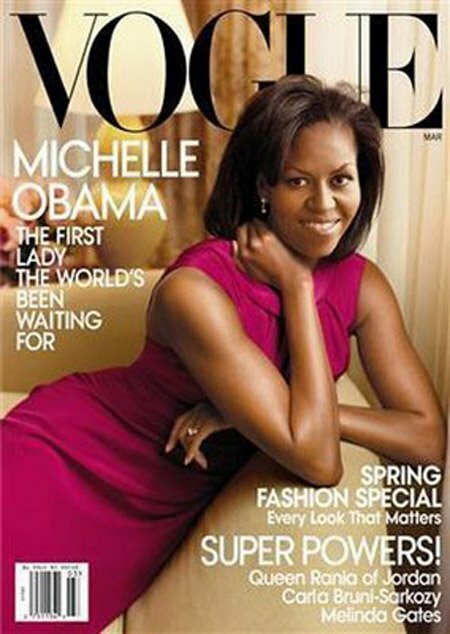 The buzz is on about the latest cover of Vogue (May Issue) shot by Steven Meisel. I was over at The Fashion Bomb and came across this GREAT story. This is the third consecutive issue of American Vogue that featured a black woman. The May issue features top models, Liya Kebede and Jourdan Dunn. Here are the last two issues of Vogue featuring Beyonce (the Shape Issue) and Michelle Obama on the Spring Fashion Issue.